The FC Barcelona Board of Directors has approved the creation of two new FCBEscolas in Charlotte (United States) and Lagos (Nigeria), in accordance with the growth strategy and implementation of new schools around the world. FCBEscola Charlotte will host around 300 youngsters while the Lagos school will take in roughly 500. 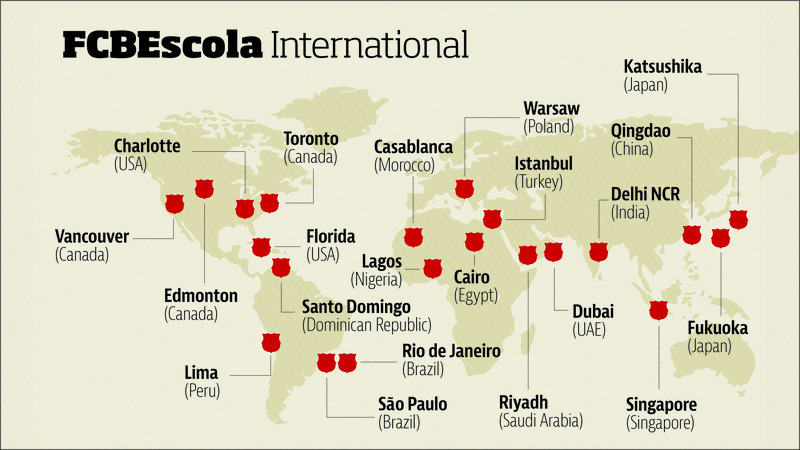 The latest two schools will take the total of FCBEscolas to 21 in five continents. “The objective of this expansion is to export the Barca methodology and values to the children of Africa and the United States, guaranteeing them a quality sporting education under the guidance of the club’s coaches,” said FCBEscola director Òscar Grau. Nigeria is the most populous country in Africa, with 170million inhabitants and has the largest economy on the continent. “It is very important for us to open an FCBEscola in Lagos. It is a very strong project in an emerging country which is beginning to organize big sporting events such as the CAF Beach Soccer Championship in Lagos next December,” says Iñaki Andreu, FCBEscola director of projects for Europe and Africa. Lagos has even more significance for the club due to the Lagos Supporters Club which is strongly embedded in the city. Charlotte, located in the state of North Carolina, becomes the second FCBEscola in the United States following the FCBEscola Floria opened in Miami in 2014. “We valued the proposal and we see it is an excellent opportunity to open the second school in United States within the expansion project that we are making in this country over the coming years,” says Franc Carbó, director of projects in America and the Middle East. As part of this expansion, the Club on 14 March approved the organization of 20 new camps in the United States in cities like Orlando, Miami, Chicago, Dallas, Atlanta, Kansas, New Orleans, Oklahoma, Las Vegas, San Antonio, Indianapolis, Columbus and Boston.